The chakras are an important part of our energy anatomy. 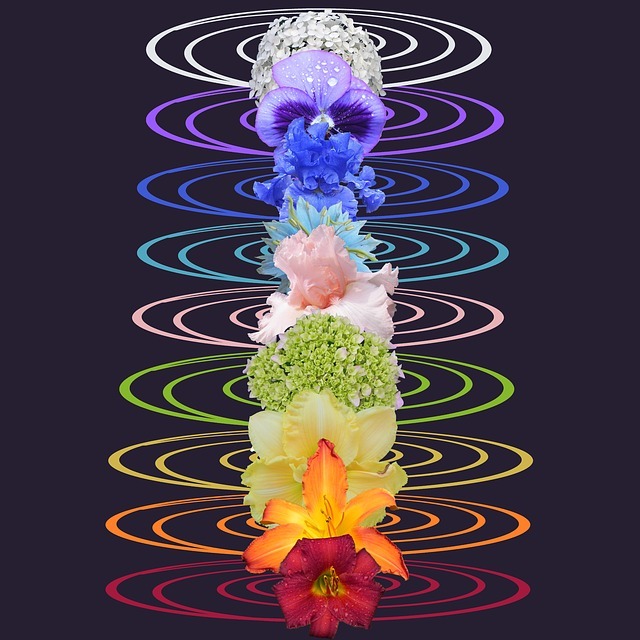 Ideally we would like to feel that all of the chakras in our body are fully functioning. This is not the case. The un-empowering beliefs & excess electromagnetic energy within our energy anatomy, which we hold onto, create blocks. Excess electro-magnetic (blocked energy) surrounds the fear filled & worry filled events of our life. Clearing the energy anatomy releases its buildup. This released energy then becomes available to us in the Now. The electrical potentials in the brain pathways can be altered by an act of consciousness, i.e. intent. These intents focus our attention to various centers of the body, using our consciousness to direct the flow of energy. Light is literally the messenger of the electromagnetic field. Light is within the essence of our cells, and the DNA. The DNA is tuned and corrected by this flow of light. Our innate systems operate on the basis of flow without resistance. Correcting the flow of light restores and enables the natural, normal, healthy processes within our systems. Increasing the flow results in evolution of our innate potentials! To increase our consciousness we must increase the “charge” or “energy flow” of our whole energy anatomy, our whole being. This requires our active participation in consciously creating our reality. The reception and transmission of information, sent by light, which acts as a messenger, should be seamless. In order to fine-tune this energy reception and transmission we need to decrease the noise (this includes, and is not limited to, our fears, run-away emotions, apprehensions, clinging to the past, & hanging onto patterns that no longer serve us) in our lives, and increase the coherence. The hookup with this new energy dynamic began to surface in 1987, when the originator of The EMF Balancing Technique®, Peggy Phoenix Dubro, began to see the Universal Calibration Lattice® appear when she was doing energy work. It took her another two years for it to be activated. Then she mapped out the UCL and designed the first four sessions of EMF, which took six more years. The major energy centers of the body, the chakras, are connected in each of the 4 prisms of the UCL, to the long informational fibers, by figure 8 self-balancing loops. The front prism corresponds to the future. The back fibers represent out personal history or past. The right side of the prism is the energy we give out into the universe, and the left side is what we receive. On most people these figure 8 loops aren’t fully formed. The movements that are made in the energy field, when a practitioner does an EMF session, connect the loops to the long informational fibers. This connection restores the flow of light, and enables the natural, normal, healthy processes within our systems. It is said the heart chakra is our main connection to Spirit; this heart chakra connection has only been recently activated. The Harmonic Convergence marked our graduation from the limited equations of duality into a 25 year time frame of accelerated transition, which signifies our evolution from living life in a base survival mode to one where we will be free to explore the passion of our unlimited potentials in the higher dimensions of our being. I think of the heart’s connection as our bridge into consciously creating our reality beyond duality. Now, instead of testing the limits of positive and negative, we are free to find a frequency, (a triality), that opens a fluid channel where the oneness of our being is broadcast from the vacuum of hyperspace, which is also known as the Cosmic Lattice. We are changing from a carbon-based level of being into a crystalline one. The electromagnetic grids have shifted more in the past 10 years than they had in the previous 100 years. The merging of the spiritual with the scientific leads us to the realization that we are so much more than we have previously thought. The power of the energy of love is the essence of our being. In other words we have a compassionate creator. Science had been unwilling to acknowledge that there was an overriding intelligent creative force in the universe, but now the energy potentials of turning our carbon based reality in a crystalline-based reality have given credence to the belief that we create our reality. Thoughts become things: this is a universal law that has been tested by quantum psychics. Each one of us constitutes an integral piece of the puzzle of creation, and each one of us has a unique role to play that affects the much larger multi-dimensional scheme of creation. We are all learning how to manage energy. When I’m feeling the pull of the old conditioning of fear, lack, & survival, it does me well to remember the unlimited, flexible, playful potential of the inner child within myself and everyone else. The inner child is the essence of the light and love that is at the core of our being. By releasing excess electromagnetic energy we are freed from old behavior patterns that we have been locked into, and we enable ourselves to see that we designed and gave permission to all of our lessons in life. This allows us to use our personal history as a support, instead of thinking of it as an obstacle. We begin to see the synchronicity in what we have designed. This can’t help but bolster our belief that the process of life is always bringing us our highest good. Going for the ingrained responses of fear, hatred, worry, and doubt only hold us back. It’s time to jump up into the higher realms of our being and empower ourselves with the light and love that is inherently ours.